Pearl Certified Gold, Earthcraft and Energy STAR Qualified...What more can you ask for? Main-level living can be yours in this sweet one owner home located in the heart of Belvedere! Living areas, master bedroom suite and laundry on the entry level and 2 bedrooms with full bath up. The home has been meticulously maintained both inside and out and features hardwood floors on first and second level, gorgeous retaining wall and terrace designed by Snow's Garden Center, and recently installed solar panel system! The 2-car detached garage features a lovely 2nd. floor carriage home complete with living space, full kitchen, bedroom, bath and stack laundry unit. It is currently leased through 3/31/2020 for $875/mo. Directions: From Rio Rd. turn onto Belvedere Blvd. At the traffic circle, take the first exit onto Farrow Dr. Turn left onto Cole St. Home is on your right. 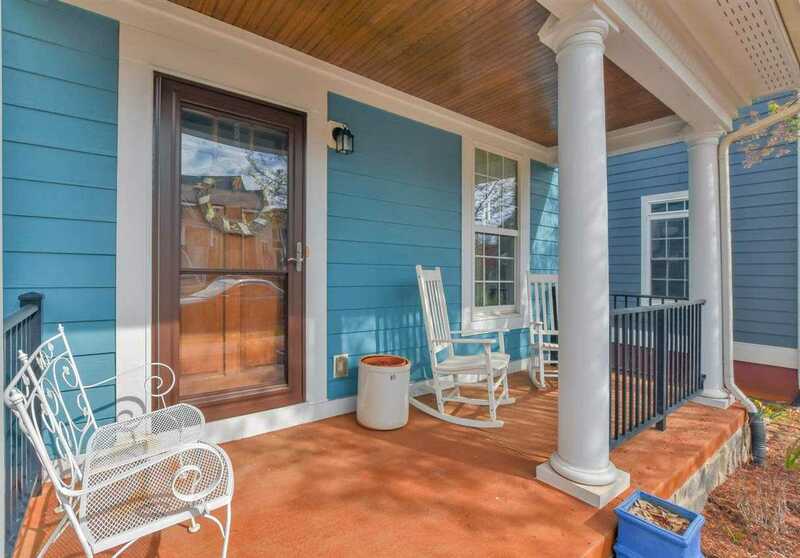 Please, send me more information on this property: MLS# 588985 – $465,000 – 718 Cole St, Charlottesville, VA 22901.